You are here: HomenextPeoplenextLocal folknextJ Stuart Bremner:model train maker. 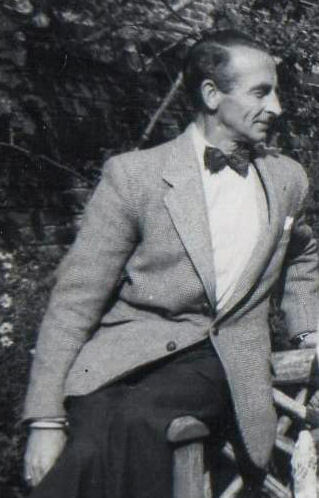 My uncle, J Stuart Bremner lived in Southwick in the 1970/80s, and in his spare time built trains for sale to collectors, and model track enthusiasts. His work was of such high quality, that some ended up in the London sale rooms like Christie’s, and he also made several trains to order for regular clients over the years. 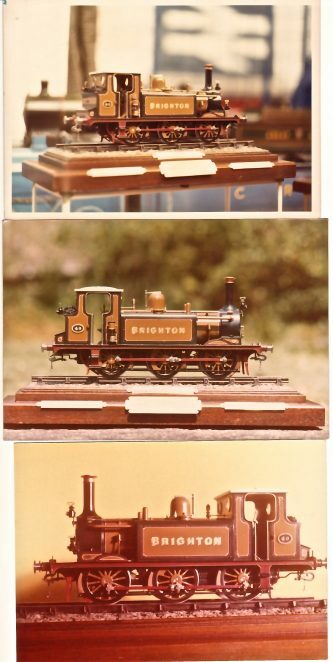 I do not have a full record of the engines he made, but one is called “Brighton” which is shown in the photographs shown here. I believe he mostly used nickel and brass in their construction, and had a small lathe to this end. If anybody can add any background to his modeling achievements it would be much appreciated. I saw one of his small, prize winning, models at an Earls Court/Olympia exhibition in the late 1950s. Sadly I have lost the photograph of it, and none of the model railway magazines can now help due to lack of information. If you have any knowledge of my uncle’s work, please leave a comment below. Have you tried the Model Engineer magazine? They’ve been going for years and used to sponsor tne Model Engineer Exhibition. Yes, but they didn’t even reply, Tim. Mind you, I have very little information to offer. 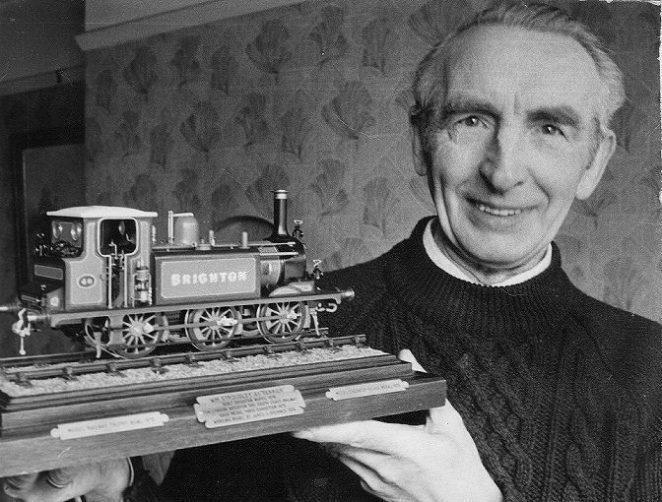 Jimmy Bremner, as he was always known to us, was a member of the Brighton & Hove Society of Miniature Locomotive Engineers for a number of years. His superb small scale models were exhibited many times on the B&HSMLE stands at local exhibitions. I well remember he mostly wore a bow tie and was always very happy to talk about his masterpieces. Thanks for that, Mick! Would you have any photos of the tiny engine I refer to above in your archives? It would probably have featured a mirror in front of the cab so that you could see the levers clearly, and there was a minute scale shovel as well. This is how I recall it from my visit to Earls Court/Olympia back in the 50s as a very young man. I think it was some sort of shunting engine, but I am no expert in such matters! I know it was nickel-silver, however. I would also add that my uncle probably assisted or made engines for local man Bert Perryman who is also featured on this site. I would love to see this collection and find a piece for myself. I was ten when I visited my grandfather in the UK and watched him make these. This is my grandfather. Due to family complications I never knew him, nor even who he was until I was an adult and living abroad. Nonetheless railway modelling has been a passion of mine since boyhood. Genetics will out. Such wonderful models!